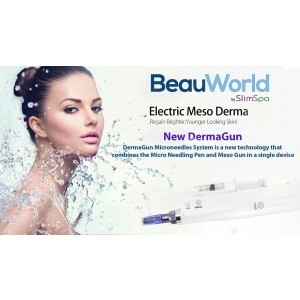 DermaGun Microneedles System is a new technology that combines the Micro Needling Pen and Meso Gun in a single device. 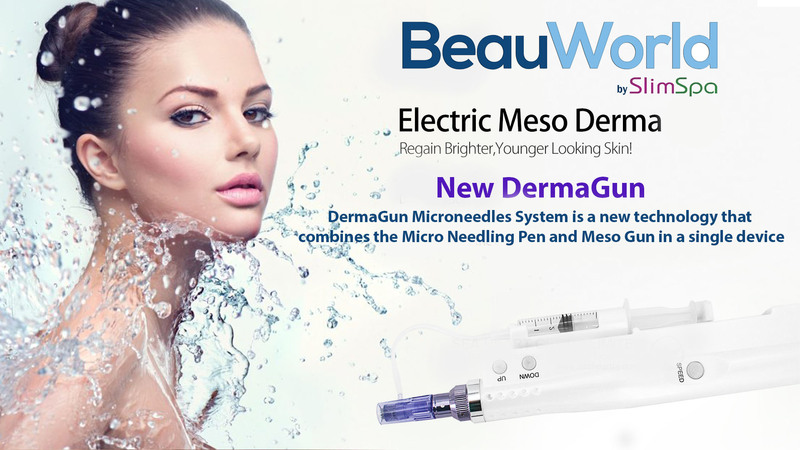 DermaGun is an advanced skin micro-needling device that works to tighten, lift and rejuvenate the skin. The unique spring-loaded needle tip of the DermaGun uses an automated needling motion that minimizes pain and discomfort, while better promoting an even absorption of topical serums, such as PRP, hyaluronic acid, hydrogenated collagen, Vitamin C and peptides into the skin. The results are youthful looking skin with even tone and texture and down-time of only one day. This new Auto Micro needles is a new technology to combine the Micro Needling Pen and Meso Gun. 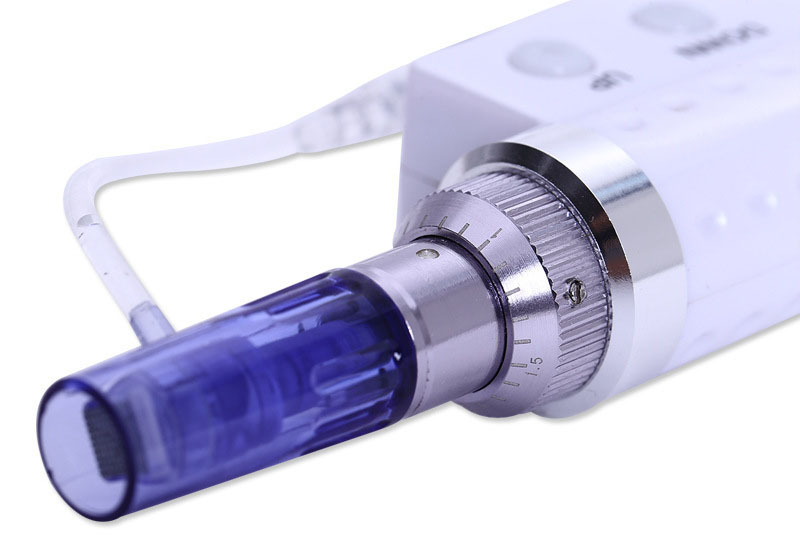 DermaGun Automatic micro needle therapy system is a portable automatic micro needle Derma Rejuvenation Therapy. It is a Non-surgical skin rejuvenation treatment which is widely used for skin rejuvenation, enhancement of skin elasticity, wrinkle reduction, acne scar reduction, and stretch mark reduction, stimulation of hair growth, whitening and administration of active ingredients. 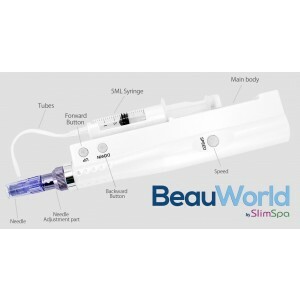 This device helps cosmetics to be penetrated and absorbed with stimulating the skin. 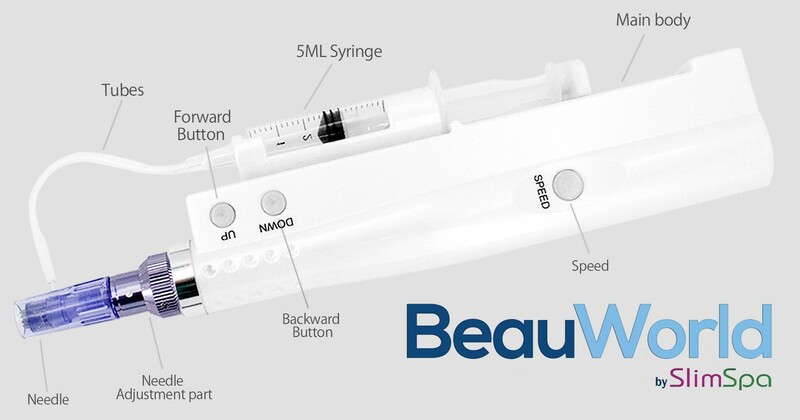 It is an electronic, automated micro needle, with guide that adjusts needle depth. It is hygienic, convenient, easy to use, and also safe to use since the needle tips are hidden inside the guide. Needle tips are disposable. It is safe to share hand piece with other client. 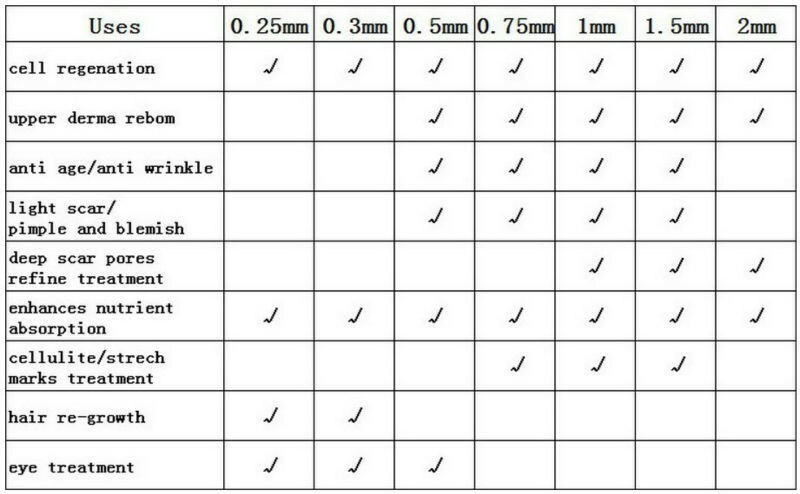 It is economical, you just need to replace the needle tips after every treatment. DermaGun is an advanced skin micro-needling device that works to tighten, lift and rejuvenate the skin. The unique spring-loaded needle tip of the DermaGun uses an automated needling motion that minimizes pain and discomfort, while better promoting an even absorption of topical serums, such as PRP, hyaluronic acid, hydrogenated collagen, Vitamin C and peptides into the skin. The results are youthful looking skin with even tone and texture and down-time of only one day. What does DermaGun can do for the skin? 7. 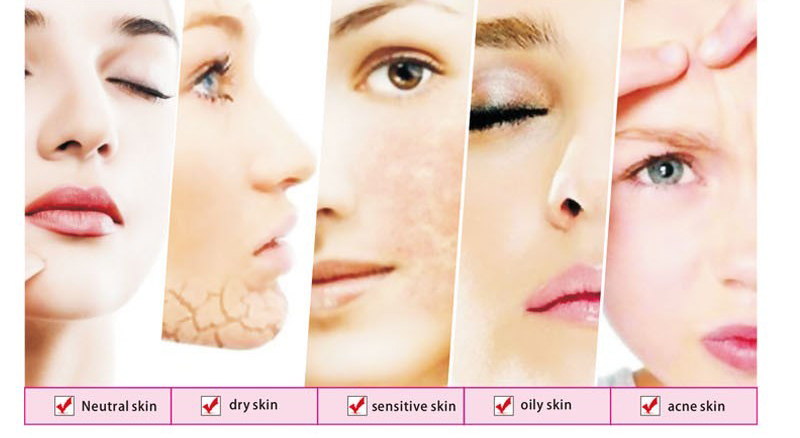 DermaGun for wrinkles is very effective for kinds of skin care treatments. 1. No cross infection/one-time disposable needle consumables. 1.The needle should not be pressed too hard on the skin, no need to lift the suspension by hand, according to the facial arc intelligent turning to fit, so as not to be in the process of sliding and causes scratches. 2.The facial and needle of the clients must be wiped and disinfected with normal saline. Do not use alcohol or hydrogen peroxide. Skin conditions should reduce operating time. 8.Can you do a treatment every 7-15 days. 6 times for a course of treatment. You can increase the number of use according to the actual situation of the client. Pregnant women, bleeding disorders, immunity defects, heart, liver and kidney dysfunction, allergies, severe heart rhythm cannot be done. 1. The instrument should be thoroughly cleaned after use so that the instrument will remain as new and increase the life of the instrument. 2. If the face is injected with cosmetic materials, it is not recommended to perform this treatment. 3. Clients with major diseases are advised not to use this instrument for treatment. 4. Do not disassemble, repair or modify the instrument without authorization (it will cause failure or cause accidents). 5. After the use of the instrument is over. Please be sure to turn off the power switch and unplug the power plug. 6. This product should pay attention to fire, sun, moisture, and anti-collision. Accessories tools need to be properly placed. 2. Determine the treatment site, take pictures before treatment. 3. Make sure that the customer has removed all metal items and that there is no metal in direct contact with the customer. 4. Handle and clean the accessories and beautician’s hands with saline (anti-microbial soap).